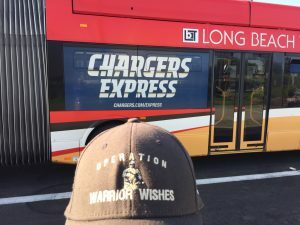 Game 11 – The LA Rams Help Make Warrior Wishes Come True! 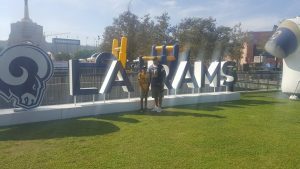 My dad was able to stop at home for a couple of days before heading across the country Wednesday evening to host warriors at the Thursday night Rams game. 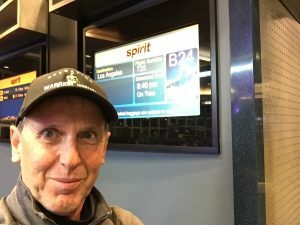 He landed in Los Angeles around midnight & slept for a few hours at LAX. He eventually made his way downtown & hung out most of the morning at the JW Marriott getting work done. He ended up taking a long walk down Figueroa to meet up with the warriors for dinner at McKays Restaurant. 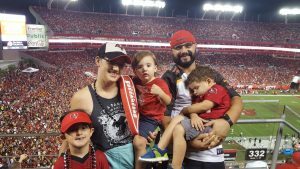 Today we had the honor of hosting Navy Veteran Ruben Cervantez & his almost 10 year old son (his birthday is tomorrow). My dad met up with Ruben & Jacob at McKays for the pregame meal around 3pm. They enjoyed getting to know each other & the GM of McKays who also has 2 sons currently serving in the military! McKays is the perfect place to grab a bite to eat or drink before & after any event near the Coliseum! 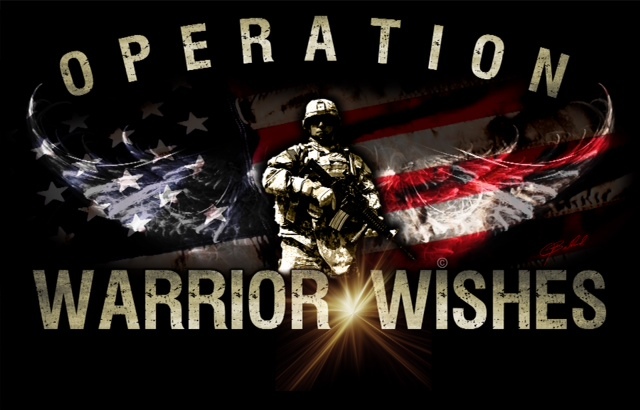 We cannot thank them enough for helping us make Warrior Wishes come true. 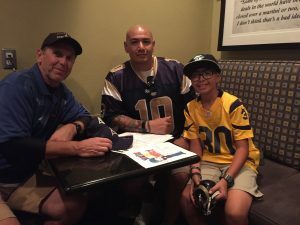 After the meal, my dad presented Ruben & his son with new Rams caps, courtesy of New Era & surprised them with front row tickets to the game! 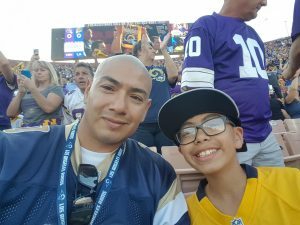 Needless to say, the father and son were extremely excited to see their first ever Rams game from the front row! 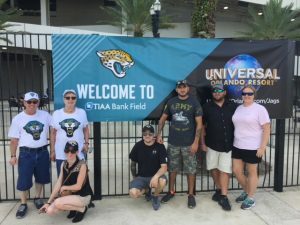 Before heading inside the stadium, they snapped a few pictures outside & had some fun playing some games in the interactive play area. While they were having some fun, my dad ran into an old friend, John Kreisel, John is an unbelievably inspiring warrior that we had the honor of hosting in Minnesota this past years at the Superbowl! 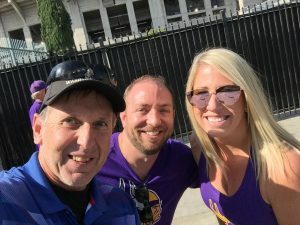 John was in LA cheering on his Vikings & celebrating his Honeymoon. Congrats John & thank you for continuing to be an inspiration! 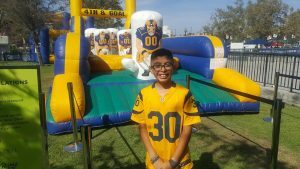 Thanks to the LA Rams, my dad had one more surprise for Ruben & his son. 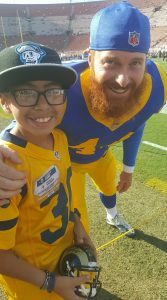 The Rams provided field passes for them to enjoy the pregame warm ups from the sidelines! 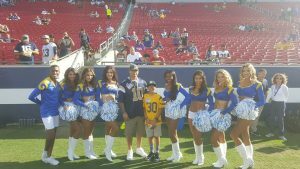 Ruben & Jacob had the opportunity of a lifetime to meet some of the players, cheerleaders & even the mascot! 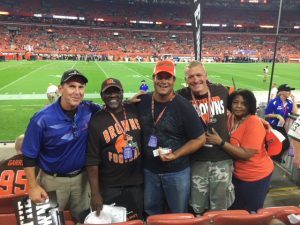 My dad greeted the father & son at their seats. The smiles on their faces stretched from ear to ear. Thy were having a great time & the game hadn’t even started yet!!! As I mentioned, their seats were located in front row right behind the goal post. My dad made sure to text Rubens wife to let her know to watch for them. She excitedly responded back to him and let him know that she saw them on TV! 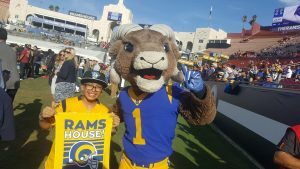 It was tough to miss them with Jacobs bright yellow Rams jersey. 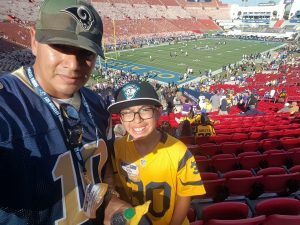 The undefeated Rams had looked unstoppable and the Vikings defense had looked to shut their high flying offense down. But that didn’t happen… both the Rams and Vikings went back and forth scoring touchdown after touchdown in a very entertaining game! In the end, the Rams held off the Vikings for the 38-31 win! 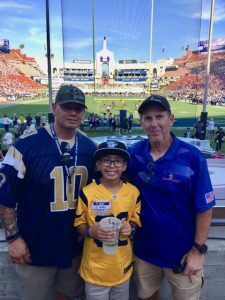 Operation Warrior Wishes would like to thank the LA Rams for providing the field passes for a truly unforgettable experience! We also want to thank Geno at McKays for providing the delicious pregame meal & New Era for providing the Rams caps! 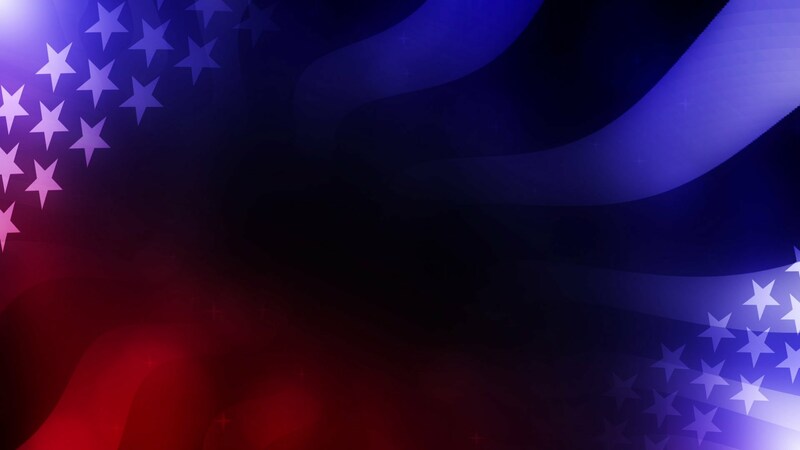 Most importantly, we want to thank Ruben for his service & sacrifices to our country! Warrior Wishes Come True At Wrigley!